Surround yourself with beautiful, mature landscaping, thoughtful amenities, and peaceful apartment homes.  Autumn Ridge offers Residents five exceptional one and two-bedroom floor plans, in addition to exclusive amenities such as a 24-Hour Health and Wellness Center, Onsite clothes care facilities and 24-Hour Emergency Maintenance. Take your furry friend to enjoy our onsite bark park or relax on our sundeck next to our sparkling swimming pool. An enjoyable lifestyle is our goal at Autumn Ridge. Take a moment to browse our photo gallery and contact us to schedule your appointment for your personal tour of Autumn Ridge today!